If you start the Movement phase within 1″ of a door, you may opt to open it (and an enemy within 1″ of the door may try to stop you on a 5+). However, if you move to within 1″ of a door that already has an enemy within 1″ of it you may not try to open that door. It was the second part we were getting wrong, treating a model that moved up to a door as able to open the door, even if there was an enemy within 1″ of it. 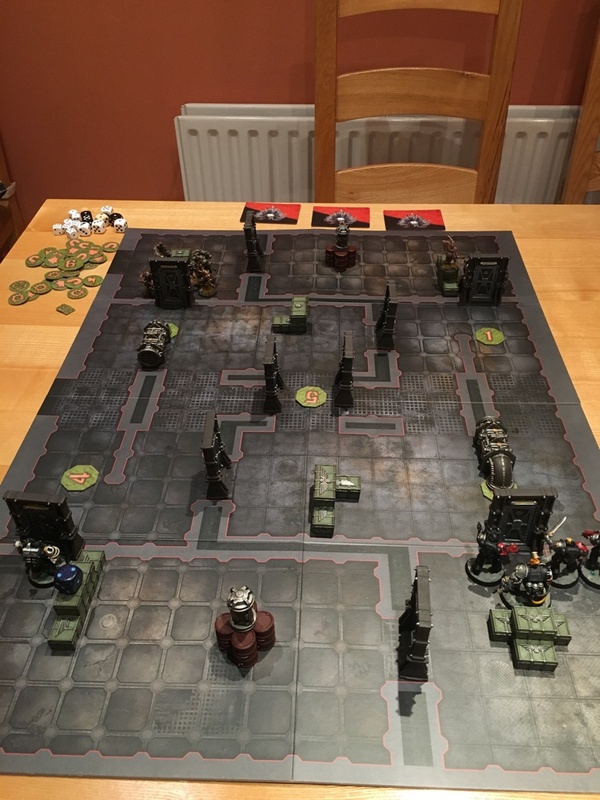 It’s a weird caveat and definitely plays into a couple of things: large Kill Teams with chaff models will have an easier time blocking doors; winning Initiative is useful in this context; and finally I’ve found a use for Decisive Move!